Countries around the world are racing to phase out gasoline and diesel cars. China, the world's largest car market, is working on a plan to ban the production and sale of vehicles powered only by fossil fuels. It has plenty of company: India, France, Britain and Norway want to ditch gas and diesel cars in favor of cleaner vehicles. In Germany, Chancellor Angela Merkel has hinted that it's only a matter of time before the country that invented the modern car sets an expiration date of its own. At least eight other countries have set sales targets for electric cars. Britain: The U.K. said in July that it would ban sales of new gasoline and diesel cars starting in 2040 as part of a bid to clean up the country's air. By 2050, all cars on the road will need to have zero emissions. Nearly 2.7 million new cars were registered in the U.K. in 2016, making it the world's sixth biggest market. France: The government says that it wants to end sales of gas and diesel-powered vehicles by 2040 as it fights global warming. The share of cars powered by electric, hybrid and alternative fuels in France is small -- about 4% -- but growing fast. Sales of those vehicles were up 25% in the first quarter of 2017. Germany: Merkel, who is seeking a fourth term as chancellor, was asked last month if it would make sense for Germany to set a deadline to end sales of cars fitted only with gas or diesel engines. "I cannot name an exact year yet, but the approach is right because if we quickly invest in more charging infrastructure and technology for electric cars, a general changeover will be structurally possible," she told weekly tabloid Super Illu. Some German towns and cities have already threatened to introduce their own diesel bans to curb pollution. India: The government said earlier this year that every vehicle sold in the country should be powered by electricity by 2030. "This is an aspirational target," said Anil Kumar Jain, a government energy adviser. "Ultimately the logic of markets will prevail." India, which suffers from an acute air quality problem, is home to many of the world's most polluted cities. But it's also a country where policymakers can make a big difference. The number of cars on the country's roads is expected to explode over the coming years as four-wheel vehicles become more affordable for the middle class. If families purchasing a car for the first time buy electric, India could leapfrog ahead of some developed economies. Norway: The government's transportation plan outlines a clear target: All new passenger cars and vans sold in 2025 should be zero-emission vehicles. Norway is leading the way. 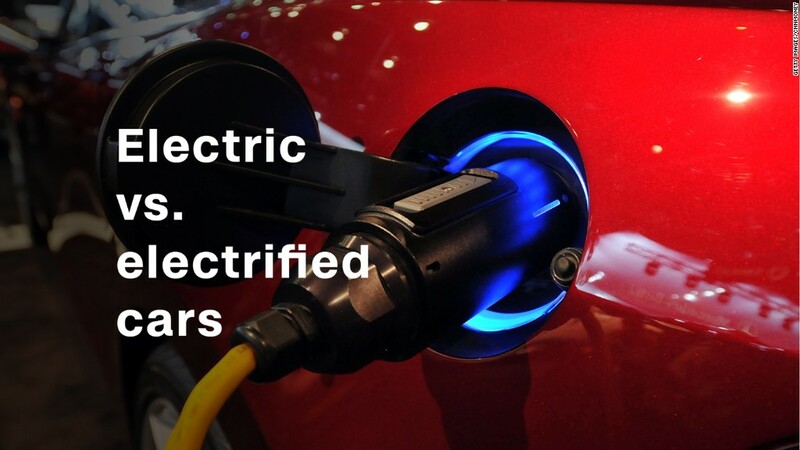 About 40% of all cars sold in the country last year were electric or hybrid vehicles. The others: At least eight other countries have electric car sales targets in place, according to the International Energy Agency. Austria, Denmark, Ireland, Japan, the Netherlands, Portugal, Korea and Spain have set official targets for electric car sales. The United States doesn't have a federal policy, but at least eight states have set out goals. Globally, 95% of electric cars are sold in only 10 countries: China, the U.S., Japan, Canada, Norway, the U.K., France, Germany, the Netherlands and Sweden. -- A version of this article was first published on July 26. It has been updated with news from China and Germany.